Eric Cazdyn is Distinguished Professor of Aesthetics and Politics at the University of Toronto (Centre for Comparative Literature and Department of East Asian Studies) where he teaches courses on critical and cultural theory, globalization, psychoanalysis, Marx and Marxism, Deleuze, film and video, architecture, modern literature, and modern Japan. He is the author of the following books: The Already Dead (Duke, 2012), After Globalization (with Imre Szeman, Wiley-Blackwell, 2011), The Flash of Capital (Duke, 2002); and editor of Trespasses: Selected Writings of Masao Miyoshi (Duke, 2010) and Disastrous Consequences (SAQ, 2007). 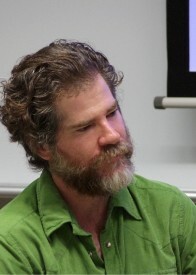 His most recent book, Nothing: Three Inquiries into Buddhism and Critical Theory (with Marcus Boon and Timothy Morton), will be published in 2015 by The University of Chicago Press.